Leaders from the telecommunications industry examined and explored the opportunities presented by digital transformation at the 11th edition of the Telecom Review Leaders’ Summit. 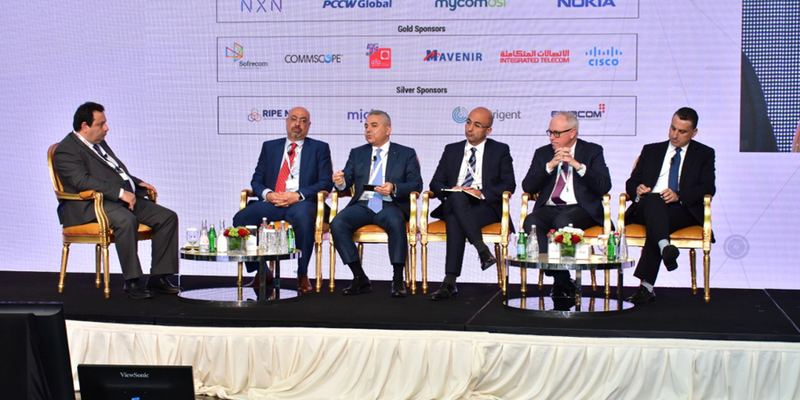 NXN’s Chief Business Officer, Labib Matta moderated a panel discussion entitled – The Telecom Leaders Panel: How do telco operators address the digital transformation opportunity. Panelists included the Hatem Dowidar, CEO, Etisalat International, Marwan Hayek, CEO, Alfa, Yasser Shaker, CEO, Orange Egypt, Ken Campbell, Director General, Inwi and Anthony Shiner, Chief Digital & Innovation Officer, du. The CEO of Etisalat International, Hatem Dowidar, said that operators were a key enabler in terms of facilitating the digital transformation objectives of its enterprise customers. Dowidar said, "By going digital you can provide a better service that is more cost efficient. Operators are at the centre of this new revolution that we call digital transformation, and it is providing us with the new revenue opportunities. We have the capabilities to help deliver digital transformation for our customers." CEO of Alfa, Marwan Hayek echoed the sentiments of Dowidar and said that digital transformation offered operators the chance to create new revenue models. Marwan Hayek, CEO of Alfa, said, "There are tremendous opportunities presented by digital transformation. In Lebanon, we could potentially create an additional $2bn to our GDP by integrating new technologies in an effort to alleviate severe traffic congestion." Anthony Shiner, Chief Digital & Lifestyle Innovation Officer at EITC (du), called for a mindset shift from operators in order to fully maximize the opportunities presented by digital transformation. Shiner said, "You have to create a cultural change along with digital transformation. We see significant value in improving the experiences of our customers." Yasser Shaker, CEO, Orange Egypt, said that establishing strong partnerships with governments were fundamentally critical in terms of accelerating digital transformation. Ken Campbell, Director General, Inwi, said that operators need to embrace digital transformation now in a bid to enhance the experiences it provides for its customers. Campbell said, "We need to accelerate quicker towards digital transformation. We want to create brilliant digital experiences for our customers and digital transformation is very important to that."